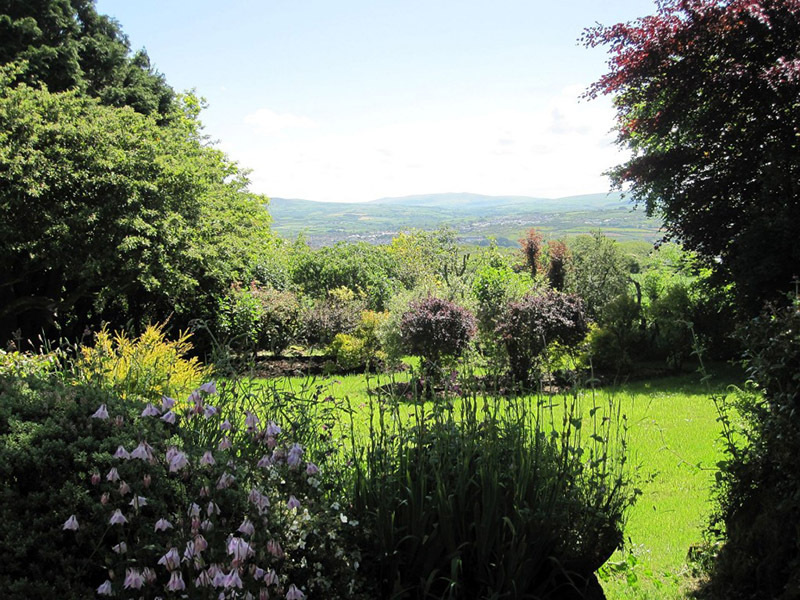 Set in mature and private gardens, Carngowil is a well equipped detached four bedroom farmhouse offering fabulous expansive views across the Preseli Hills, and is much enjoyed by families and walkers. 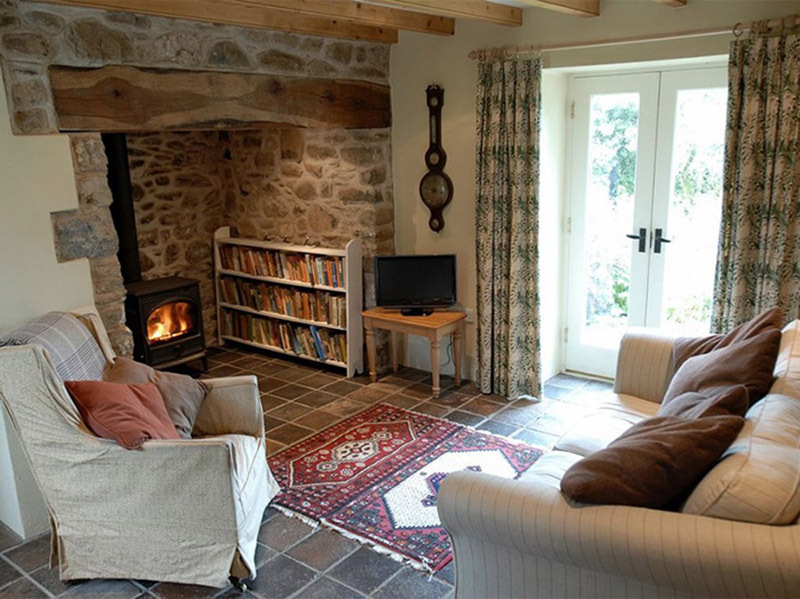 Beamed ceilings, terracotta tiles, oak floorboards, a log burning stove in the Inglenook and an Aga are just some of the delightful features in this sympathetic renovation and make it comfortable for a holiday at any time of the year. 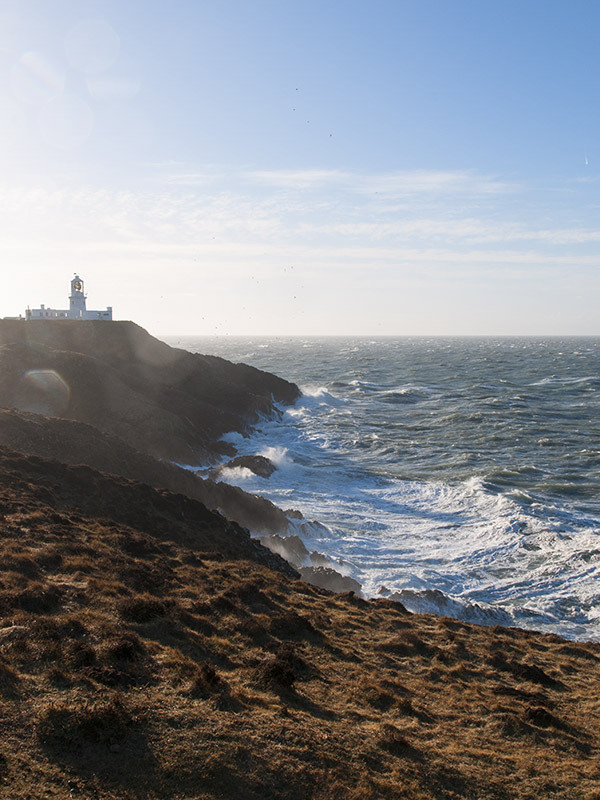 An easy walk, past an 8th century church, will lead you to the Pembrokeshire Coastal Path, ideal for bird and porpoise watching and where you can often spot seals in the coves and see the flashing beam from Strumble Head lighthouse. You can also take advantage of the local shuttle bus which is ideal for walkers or to explore the locality without taking a car. There are also numerous local beaches for swimming, surfing, sea fishing as well as horse riding and golf courses in the near vicinity. 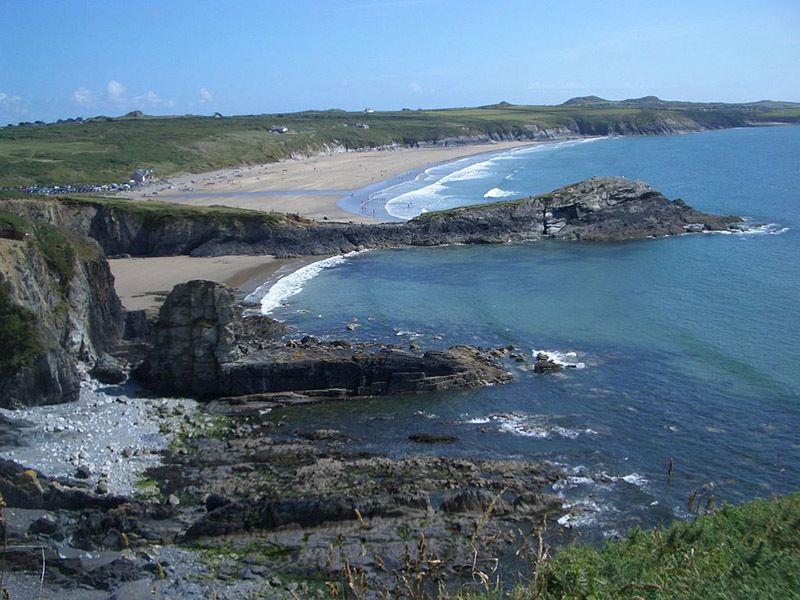 Artists are attracted by the clear light and spectacular views, bringing an abundance of local galleries and the cathedral city at St David’s hosts many cultural events. 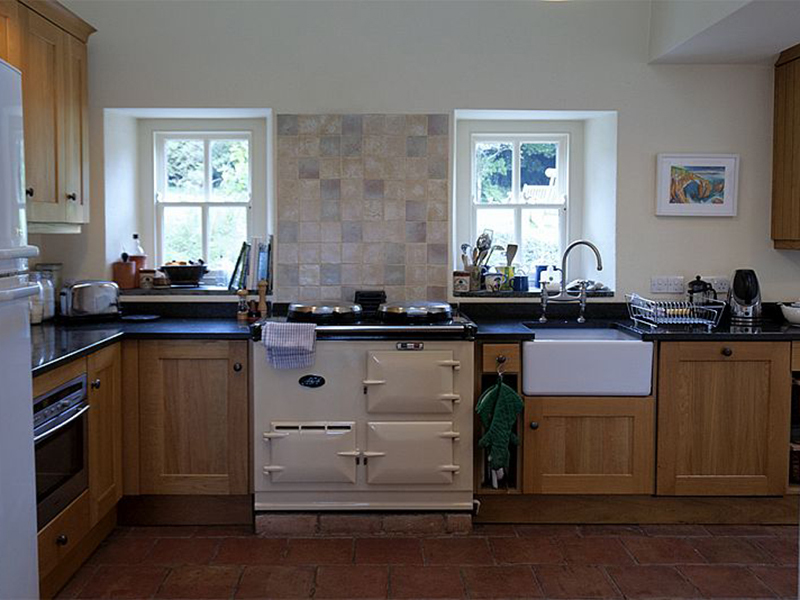 Entering into the warm and welcoming fully fitted kitchen you find an Aga, combination microwave oven, fridge/freezer, dishwasher and a range of fitted cupboards. 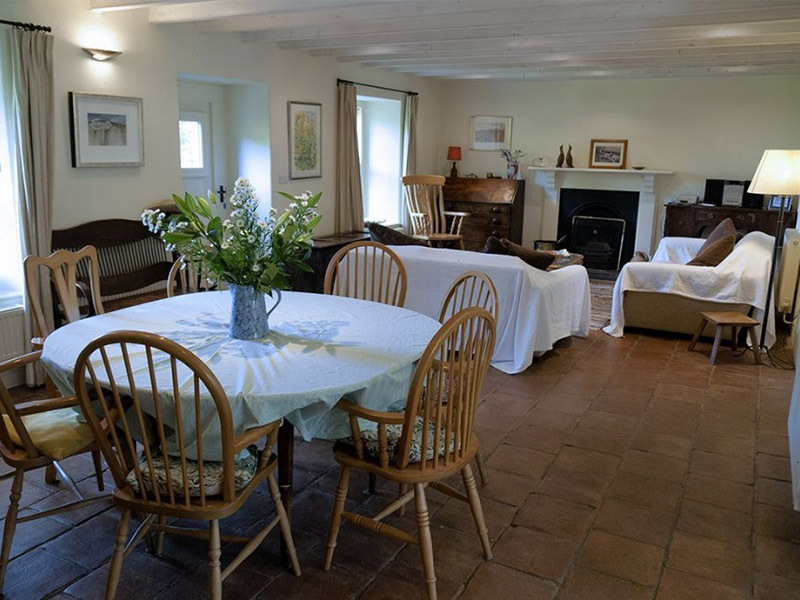 The kitchen opens into a tiled large lounge/diner comfortable furnished with circular dining table, sofas, CD/Ipod player, board games and open fire. 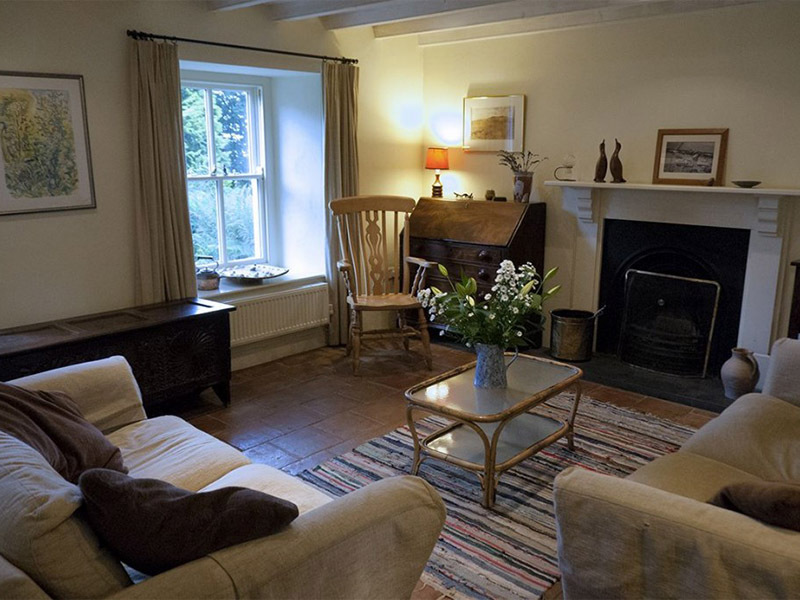 The snug with its Inglenook fireplace and wood burning stove has a television and French doors open onto the garden. 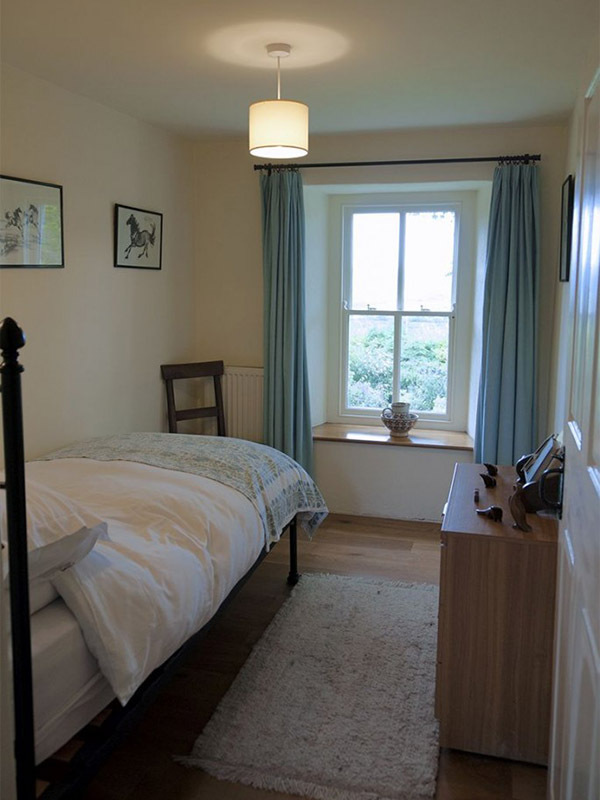 From the snuggery a stairway leads to an oak floored twin bedroom (beds can be transformed to double), with en-suite shower, hand basin and w.c. Back on the ground floor there is a family bathroom, washing machine and dryer. 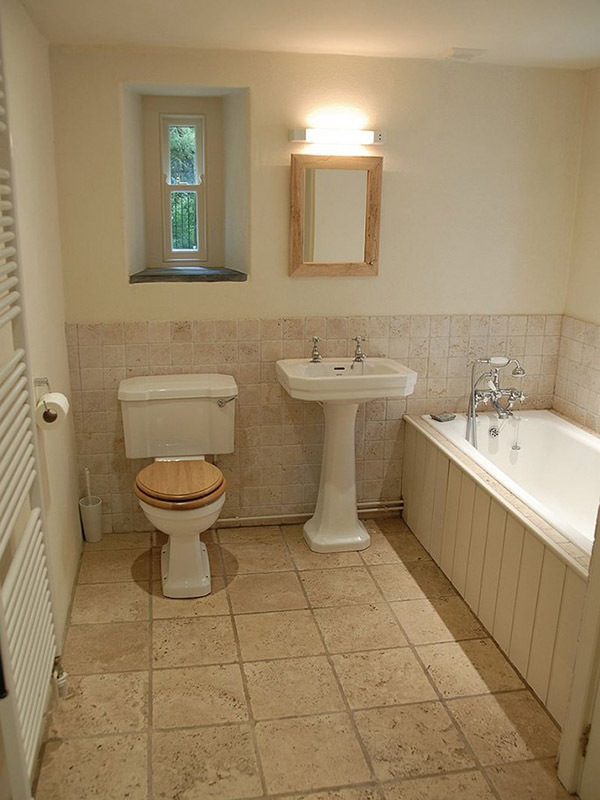 A second stairway leads to three oak floored further bedrooms:- one kingsize with en-suite shower, hand basin and w.c., a single bedroom and a twin room. 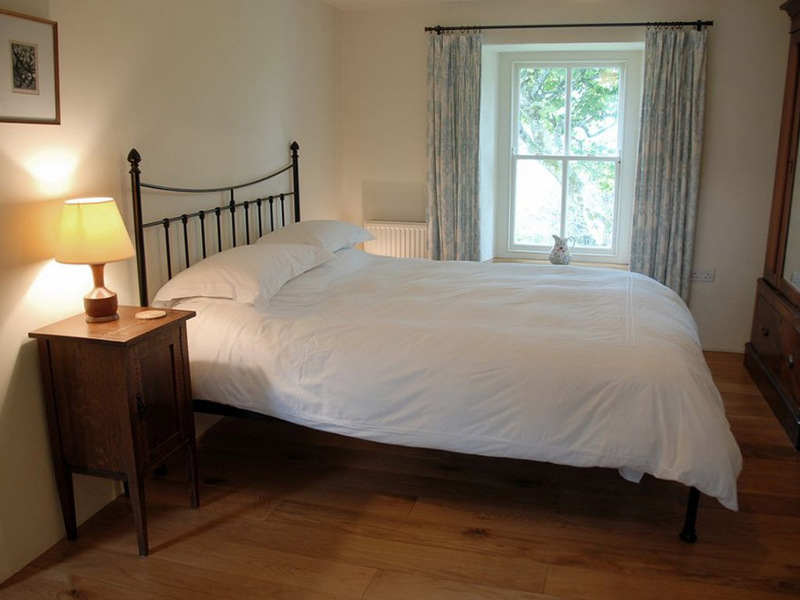 All are comfortably furnished with period furniture in keeping with the property. 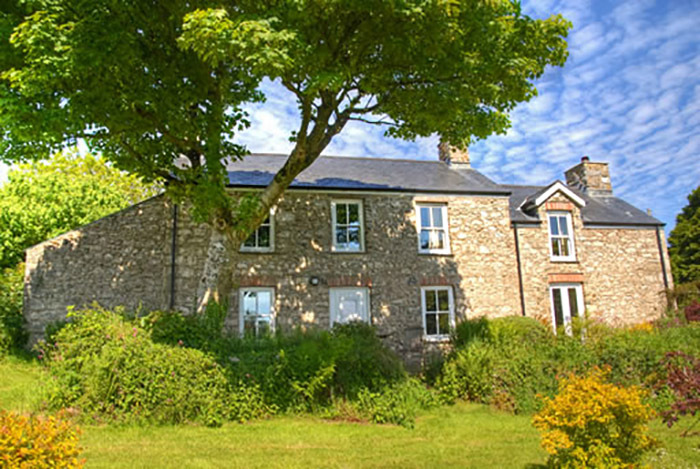 The farmhouse is in an ideal position for exploring the beautiful countryside, taking boat trips to Ramsey and Skomer islands, visiting local churches and coastal villages. 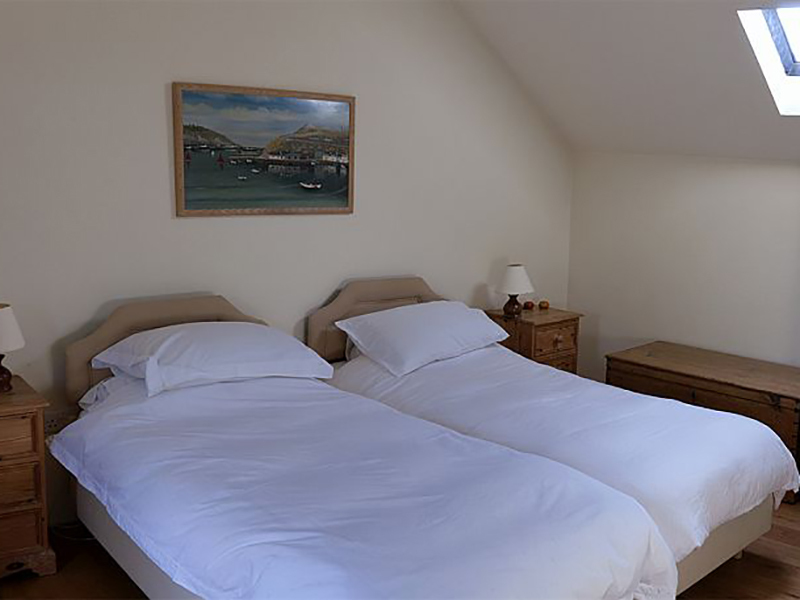 The local village is Goodwick where there are shops, the railway station and beach. The ferry to Rosslare also leaves from the port at Goodwick. 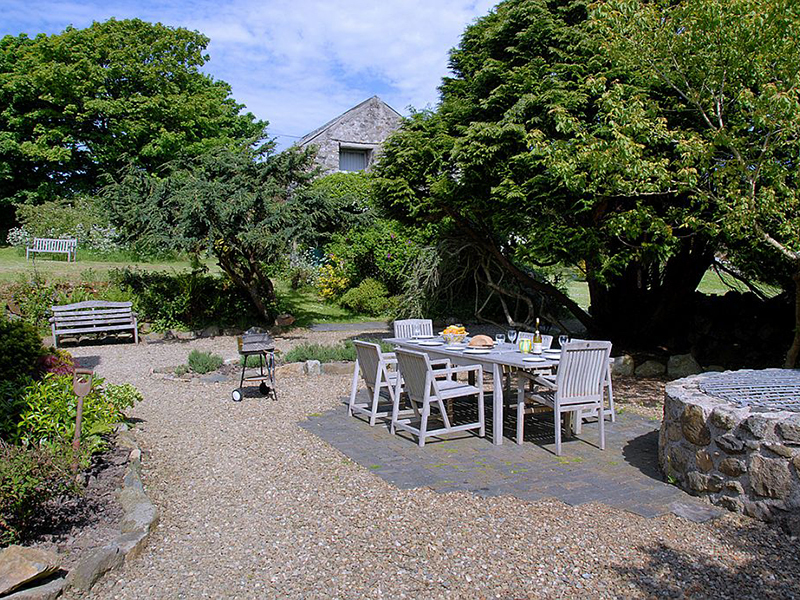 Fishguard, a few miles away, is larger and has art galleries, pubs, coffee shops, restaurants, supermarkets and an attractive Lower Harbour where Under Milkwood was filmed. Wood Burning Stove and open Fire.